Canon LBP2900B Printer is now widely used not just at offices, but also in houses. If you are using a Windows computer, finding Canon LBP2900B Printer drivers is not difficult. All you need is opening any web browser, type in the phrase “Canon LBP2900B Printer drivers”, then download and install it. However, those who are using a Mac computer, you might find it difficult to download and install it. Not only you, but there are also many Mac users that are trying to install LBP2900B drivers patch to make it work on the latest macOS Mojave version. The good news is that there is now a working patch available for Mojave and you can easily install it on your device. After installing drivers and applying the patch, your MacBook will start detecting the LBP2900B printer. While Canon LBP2900B printer is one of the most successful models that suits perfectly for office usage, Canon is pretty lazy for updating their drivers for MacBook Air and MacBook Pro devices and it has stopped the update since 2015. Fortunately, LBP2900B still has a good community and its members developed patches for each macOS update. Canon LBP2900B stopped working on the latest macOS Mojave version and users are still finding a solution to download and install Canon LBP2900B drivers on their device. If you are looking for to install Canon LBP2900B drivers patch on your Mac running macOS Mojave version, you are at the right place. This post will show you a detailed guide to fix LBP2900B printer drivers problem occurring on your computer. Although LBP2900B drivers for MacOS are no longer available on the official Canon website, you can still set up the printer using LBP3000 drivers with a simple patch. Don’t worry since the process is very simple if you perform the following steps carefully. 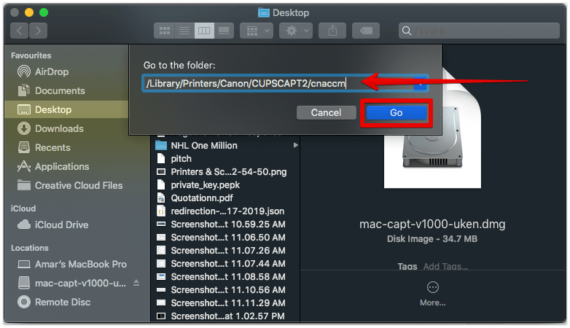 Here is how to install Canon LBP2900B printer drivers on Mac running on the latest Mojave update. All you need first is to delete the old printer drivers completely from your computer. To uninstall the current printer on your Mac, simply click on Apple icon on the top corner and choose System Preference. There will be a lot of system options from there, simply click on Printers and Scanners icon. Choose the old printer from the left printers list, click on – button and delete your existing printer by clicking on Delete Printer. 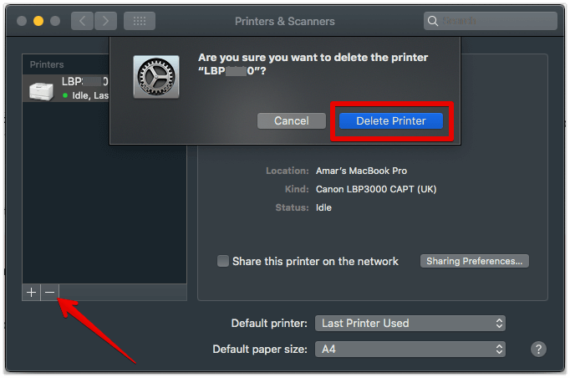 Once you delete all unused printers, restart your Mac to apply these changes. You should be careful while deleting the printers if there is more than one printer or scanners installed on your Mac. Now, visit the Cannon official website to download CAPT Printer Driver & Utilities for your Mac (V10.0.0). Although the drivers and utilities are actually for Canon LBP3000 printer, we’ll make it compatible with LBP2900B printer model. After accepting the terms and conditions checkbox, you will see the Download button. Simply click on it to start downloading Mac-capt-v1000-uken.dmg file and then save it on your Mac’s desktop. Once done, double click on the file to mount and open the disk image. You will see two folders named Documents and MacOSX. 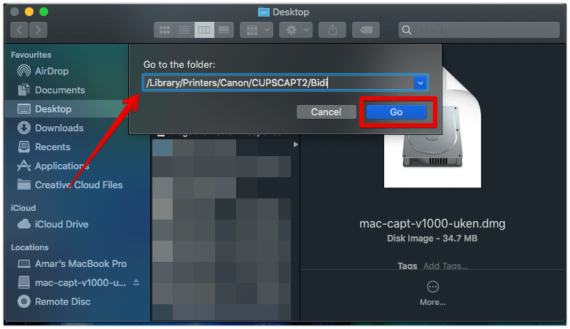 Open MacOSX folder, double click on Canon_CAPT_installer.pkg file to install the package. You have now successfully installed the LBP3000 printer drivers. You need to download the below patch to correct this model number mismatch. Once you install CAPT driver and utility, you now need to apply the patch to make it work on your Mojave update. First, you need to download the patch, named canon_lbp2900b_patch_mojave.zip and then extract the files on your desktop. In the Go to the folder, paste this path: /Library/Printers/Canon/CUPSCAPT2/Bidiand hit Go. Now, copy captmoncnab3 file from the extracted files and then replace it inside the Bidi Since you are trying to replace a file in System folder, you will be prompted to type in the Administrator password. Continue to paste the following path: /Library/Printers/Canon/CUPSCAPT2/cnaccm in Go to the folder. Next, copy the file CnAC28B9.DAT from extracted files and then replace it in cnaccmfolder. Once you replace these two files, reboot your Mac and move on to the next step. After you apply the patch, you now need to set up LBP2900B printer on your Mac computer. The process is very simple and straight forward. Switch on and connect your Canon printer to your MacBook with a USB cable. If you are using a MacBook Pro 2016 model or later, you need a USB hub for a transition. Click on System Preferences > choose Printers and Scanners. Now, search for LBP3000and choose Canon LBP3000 CAPT (UK) from the result. Click on OKto complete the setup process. Your Canon LBP2900B printer is now ready to use without any problem. If you want to test the printing quality, just click on here to print a sample page.